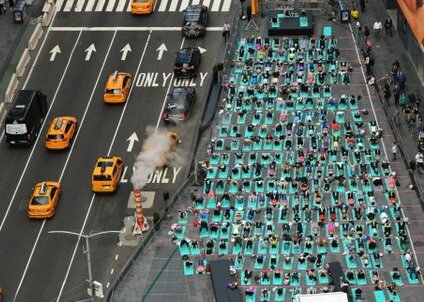 June 21, Equinox – Once a year Summer is greeted in New York City by thousands of Yoginis on Yoga mats right in the middle of Times Square! Between 44th & 45th Streets & Broadway. Yoga classes go on all day in one-hour shifts. This was the second time for me and my student, Ed. After this, we went to EATALY, a dining and food shopping experience at 23rd Street and Fifth Avenue, not to be missed! SUMMER FUN AT THE AQUARIUM! -- "Thar She Blows!" 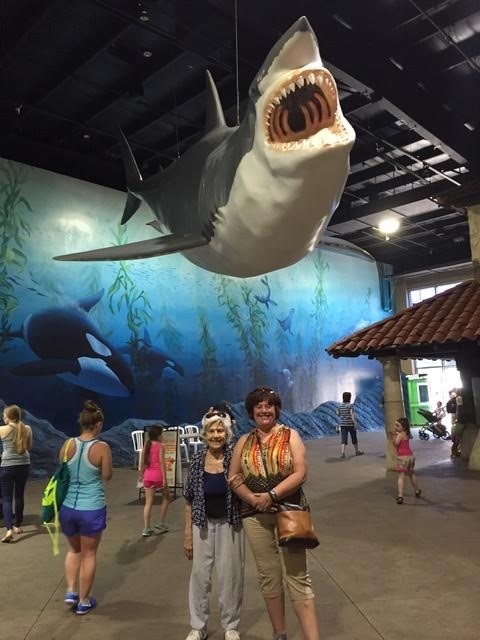 June, Riverhead - Yoga student, Barbara S and I spent a day at the Long Island Aquarium and marveled at the underwater world! 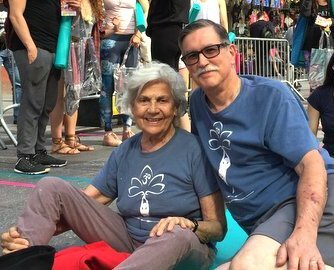 We were given a “backstage” tour by Joe Gagliano, husband of my Yoga student, Lorene. 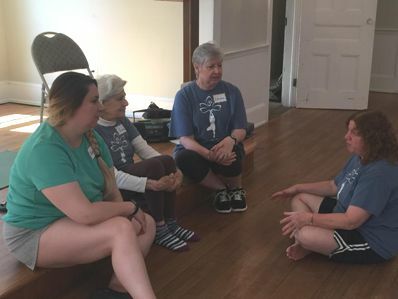 June 10, East Setauket - (l/r) Alexia, Grace, Lorene, Julia at our annual National Organization for Women (NOW) Mid-Suffolk Chapter fundraiser, which successfully raised funds to send our chapter Intern, Sara, to Orlando, Fla to represent our chapter as Youth Delegate. Mark your calendar & join us for group meditation, Patanjali's Sutras, wholesome snacks & talk.